Most of us need no research evidence to document that students are using their phones and attempting to multitask in class. We see it all the time, and if you suspect it’s also happening when they study, research confirms that as well. In some ways, we can’t really blame students. Multitasking has become such a regular part of our lives that most of us believe we can do it well, and few would imagine it was actually dangerous. Today, the vast majority of us multitask while using our smartphones. 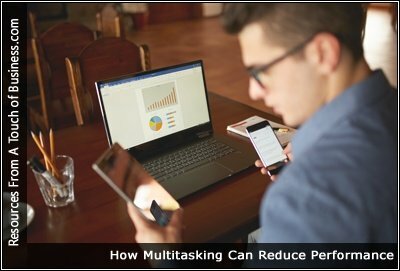 Employers have long been encouraging multitasking as a way of increasing employee productivity, but research shows it may do more harm than good. Do you skip from task to task? You may want to rethink how you work before the negative effects of multitasking hurt your brain.